Ahhh Today its Ruby on Rails, and tomorrow ErlyWeb maybe??? Erlang is a great language programming language for solving many different kinds of problems that are outside of its original domain (telcom). For some problems, itâ€™s the best. – With ErlyWeb, Erlang makes an excellent toolkit for building webapps (especially those that go beyond simple CRUD). 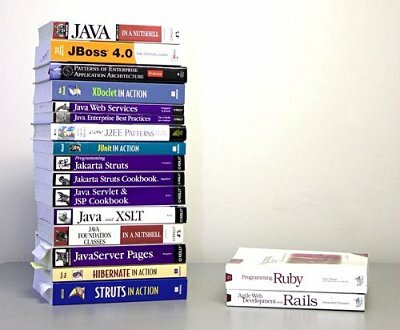 To web developers, it provides a unique blend of an industrial-strength platform and a simple, flexible, and powerful programming model. RoR is just too great for developing web applications! Slowly I’am migrating all the “old” php scripts at work towards RoR apps. You can also have a look at the Rails Cookbook (Oreilly) which is very very helpful, with lots of tips and tricks. I suppose you have noticed that I removed the URL you gave. As for ErlyWeb, why not? In fact, I’ve started looking at Seaside lately. So I guess I’ll have to have a look at ErlyWeb.